Deloitte is led by purpose: to make an impact that matters. Every day, Deloitte people are making a real impact in the places they live and work. We pride ourselves on doing not only what is good for clients, but also what is good for our people and the communities in which we live and work-always striving to be an organization that is held up as a role model of quality, integrity and positive change. 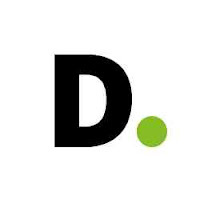 Learn more about Deloitte’s impact on the world.https://www2.deloitte.com/global/en/pages/about-deloitte/articles/impact-that-matters.html.